Floater druse of sharp bright crystals with simple forms and excellent terminal faces. 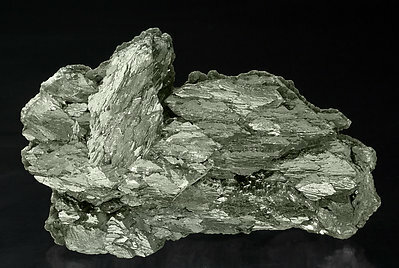 The samples of Arsenopyrite from Concepción del Oro, relatively common some time ago, are currently very rare. 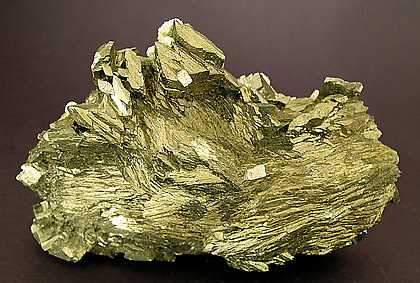 Neat Arsenopyrite with a more golden color than the typical ones. The crystal form is also very interesting. It is a floater, very shiny, and has small crystals of white Dolomite on the rear side. Very pleasant. Nice combination of the elongated Arsenopyrite crystals well placed on the matrix and partially covered by nice lenticular Siderite. Panasqueira Mine. 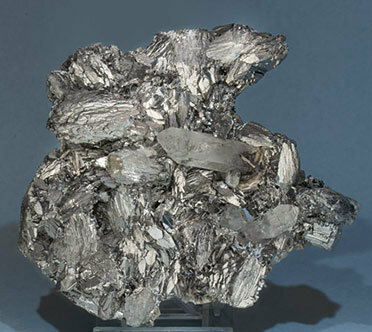 Huge crystals of Arsenopyrite with their old classic Panasqueira crystal form. Good luster as well. Recrystallized at the base and complete in all sides. 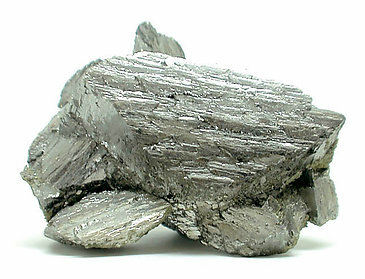 Parallel growths of short prismatic crystals of Arsenopyrite. 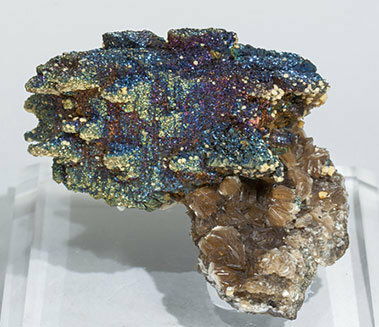 They are very bright and are slightly coated by small crystals of Siderite and Muscovite. Parallel growths of short prismatic Arsenopyrite crystals with perfect terminal faces. They are very bright and are on Calcite matrix. 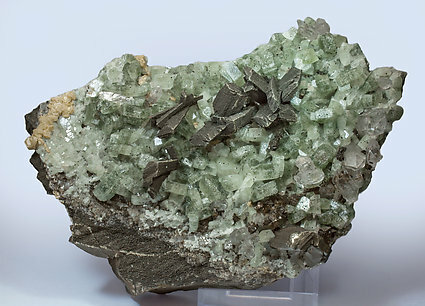 Aggregate of sharp and very bright crystals of Arsenopyrite, most of them doubly terminated, with cubo-octahedral crystals of Galena and small crystals of Quartz. 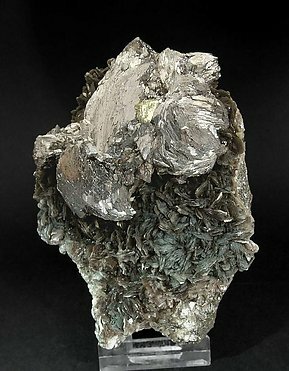 An excellent sample for the locality, in which Arsenopyrite is relatively rare. 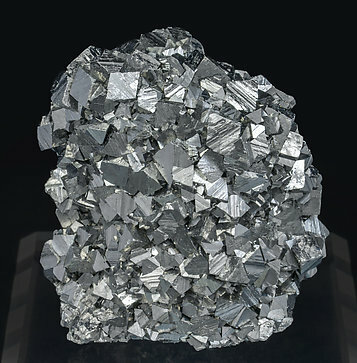 Bundled aggregates of prismatic crystals of Arsenopyrite with very well defined forms and well market curvatures, bright, and on a matrix of Ilvaite crystals. Extraordinary group both for crystal size, very bright and sharply defined, and for its contrast with a crystallized Muscovite matrix. 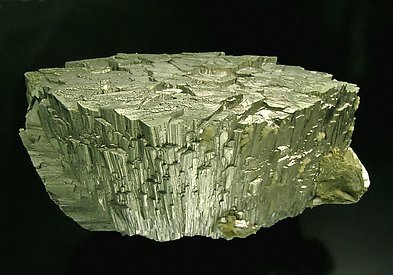 Between Arsenopyrite crystals appears, very centered, a little cube of Pyrite. 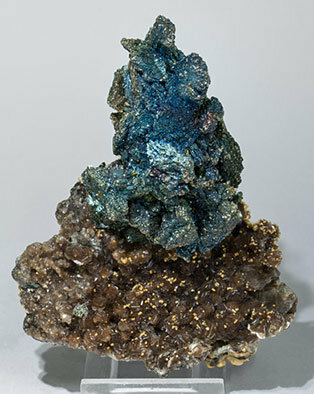 Parallel aggregate of Arsenopyrite with iridescent colors, dominantly blue, and small Pyrite crystals. The group is implanted on a matrix with leafy aggregates of Muscovite crystals. The upper levels of Panasqueira are currently offering surprising novelties, with samples that are different from what is already known. 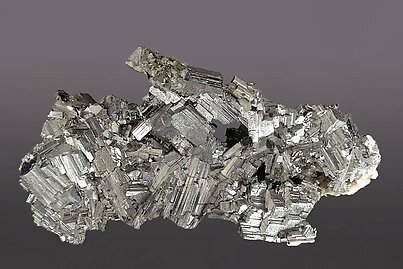 Unusually individualized Arsenopyrite crystals, elongated with very well defined faces and edges and implanted on a matrix coated by tabular, transparent, Fluorapatite crystals, also with clear Quartz crystals, groups of lenticular Siderite crystals and Pyrite microcrystals. 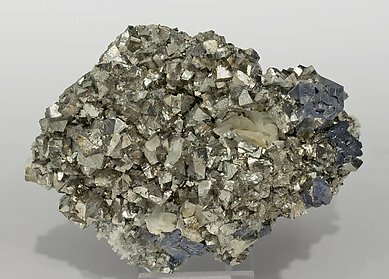 Irregular aggregate of Arsenopyrite crystals with iridescent colors, dominantly blue, and small Pyrite crystals. The group is implanted on a matrix with crystallized Quartz and leafy aggregates of Muscovite crystals and small Siderite crystals. The upper levels of Panasqueira are currently offering surprising novelties, with samples that are different from what is already known. 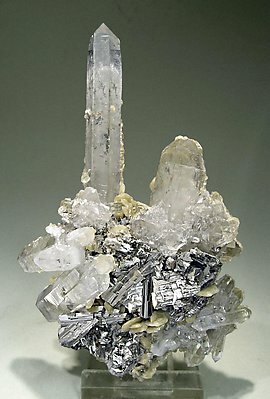 Very aerial and esthetic group of Arsenopyrite crystals that have a short prismatic shape, with very well defined polycrystalline growths that are bright with superficial iridescence, and are on a matrix of Quartz crystals. Groups of crystals with very well marked curvatures that confer on them a curious mushroom shape. The Arsenopyrite is on matrix of very neat crystals of Quartz. 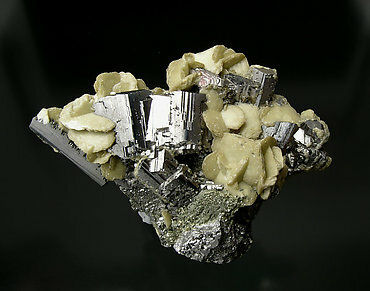 Very esthetic group of Arsenopyrite crystals with very well defined faces and edges and parallel growths. 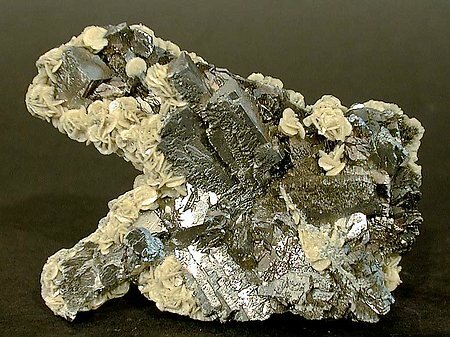 The Arsenopyrite crystals, very bright, are with clear Quartz crystals and leafy aggregates of Muscovite crystals. 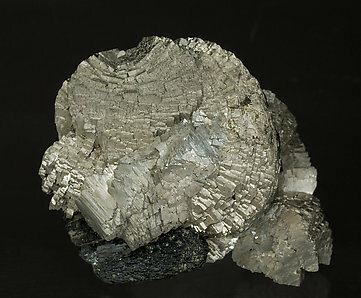 Another especially esthetic specimen consisting of very well defined and bright Arsenopyrite crystals accompanied by several doubly terminated Quartz crystals and covered by a very rich layer of Siderite crystals on the back side. 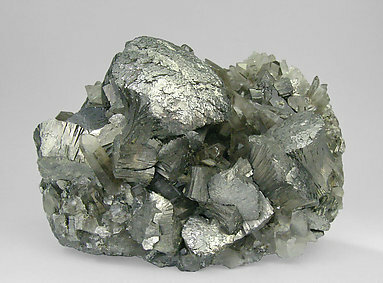 A nice group of doubly-terminated crystals of Arsenopyrite, with typical saw tooth edges and very bright. 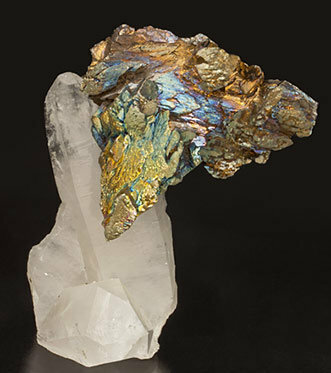 They contrast with lenticular crystals of Siderite and a little covering of Chalcopyrite. Parallel growth of elongated crystals with small crystals of Siderite and Muscovite. The parallel growth is evident on the terminal faces. 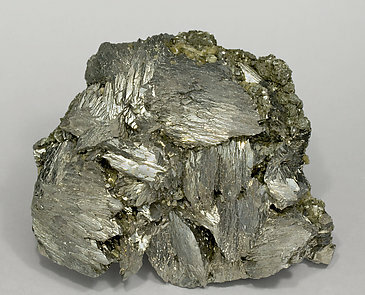 The group, very aerial, is a floater group of prismatic crystals of Arsenopyrite, most of them doubly terminated and forming a kind of wall with small crystallized nucleus of Pyrite and Siderite.